Upliftment of their devotees has always been the inevitable mission of the saints and you are the Acharya of all the saints. What do we, of little strength and no purifying influences, know of devotion? 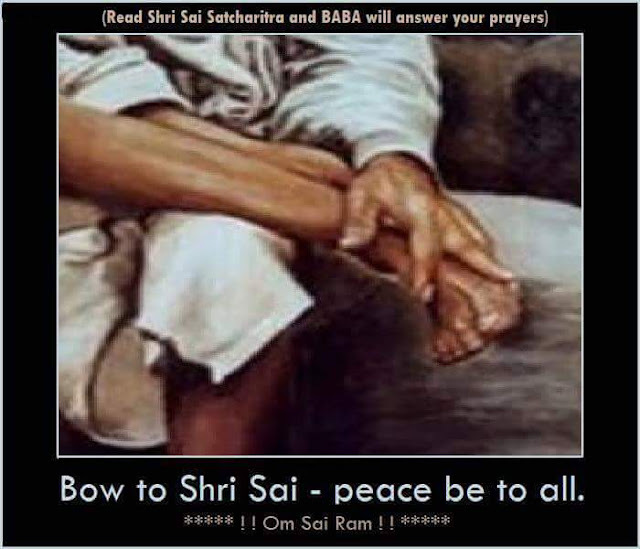 Yet, even if all others abandon us, Sai will never forsake us. O Sainath, come speedily to my rescue! It was Sai, the ocean of kindness, who bestowed favour on me, by virtue of which alone, I have been able to present this most auspicious book to the readers. When the Wheel of Fortune brings adversity, the mind also begins to spin like the whirlpool; the body runs helter-skelter, allowing not a moment's peace. 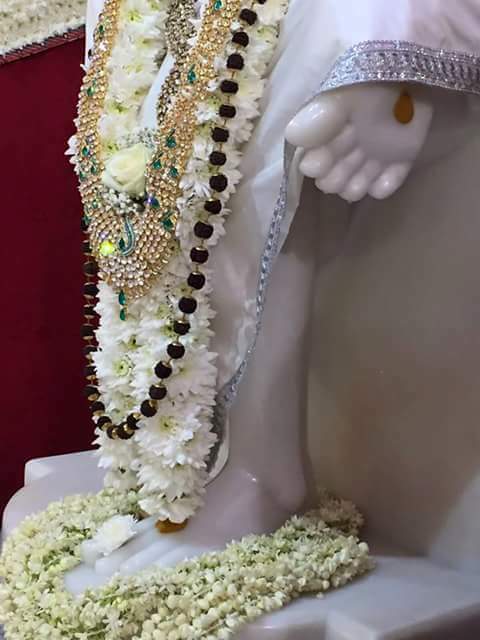 Without the saints really desiring it, who can go for their darshan? It is wonderful how, without their authority, not a leaf on the tree will move! Dreams, in order to come true, must come at a particular time - those at daybreak or.forty-eight minutes before the breaking of dawn are fruitful - others are in vain. Such is the general belief. 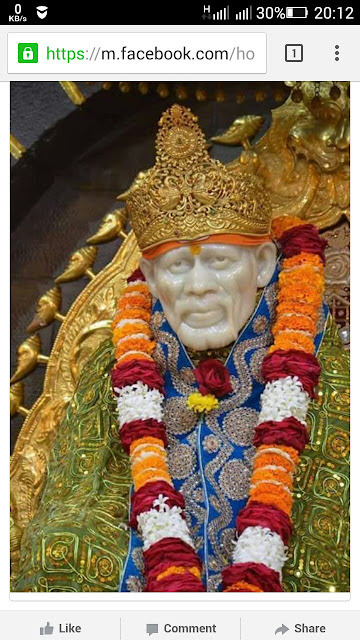 But as for the dreams associated with Shirdi, whenever or wherever they come, they always come true. Such is the unfailing experience of the devotees. "Allah Malik will give you aplenty. Allah will bless you." Your faith should remain steadfast. 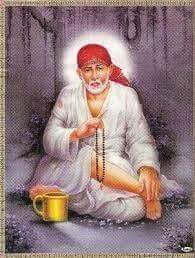 By facing the hardships squarely, with a ceaseless chant of Sai's name, all the calamities will disappear. Such is the tremendous power of Naam. There are thousands and crores of impulses in the mind. Abandon the evil ones and pursue the good. 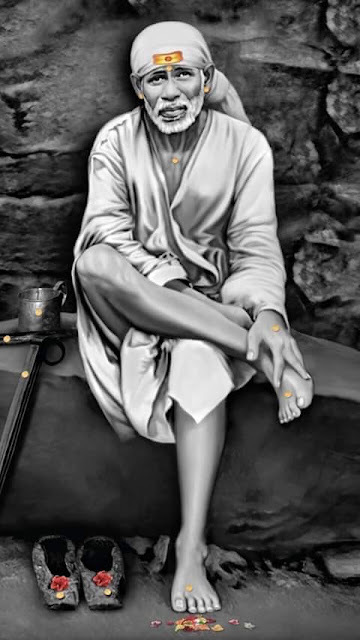 And then see Sai's skill - how he stands behind his devotees in full support. Now, who had the authority to question, "Why do you do this?" 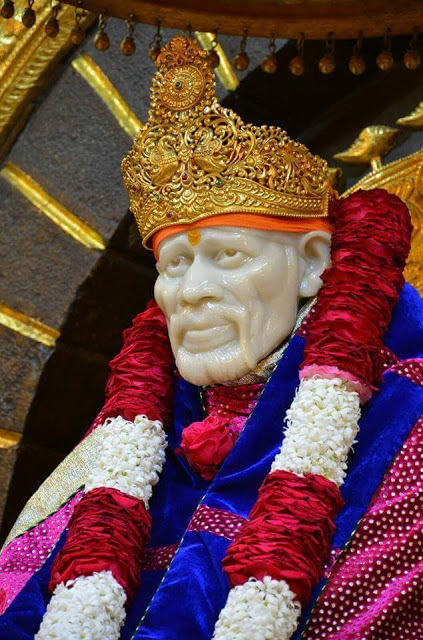 For Sai knows surely, what is proper and what is not. He alone is the Power that gives us and takes back. We may regard him as an 'avatar', because he has all those characteristics. 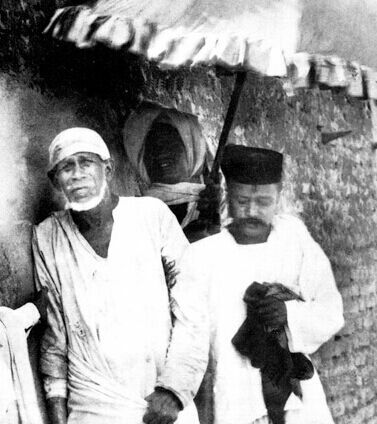 As for himself, he has always said, 'I am a slave in Allah's service." He never claimed "I am God"; but "I am his poor slave, a Yade Hakka." He constantly chanted "Allah Malik." "Do not lose courage and have no worry, whatsoever, in your mind. All will be well; give up worrying. The Fakir is compassionate and will protect you. Never did he undertake fasts; nor did he practise the arduous Hath yoga practice's. He had no hankering after food to pamper his palate, but always took food in moderation. 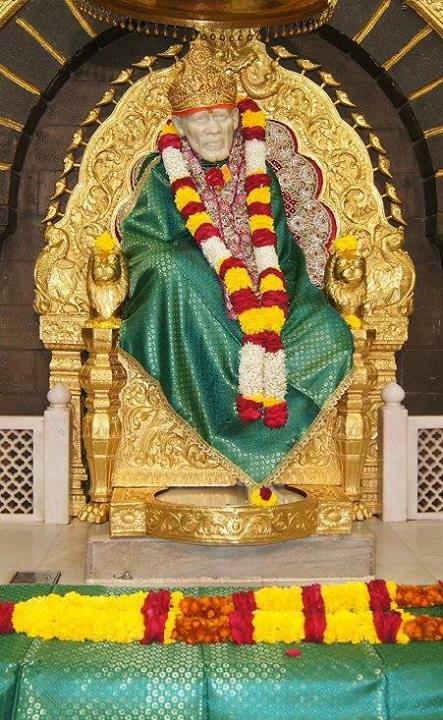 And as the faith of the listeners strengthens, Sai's rich treasures will open up to them, even more. 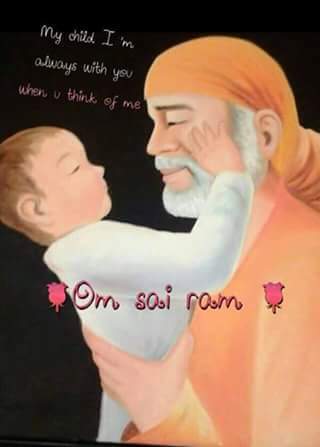 Listening to Sai's story is like drinking sweet nectar! When the guest remains without food, it portends the loss of animals, sons, wealth, stocks of food-grains etc. Thus a guest remaining on an empty stomach is an invitation to trouble. He is the slave of the Guru's command and has no independent judgement of his own. 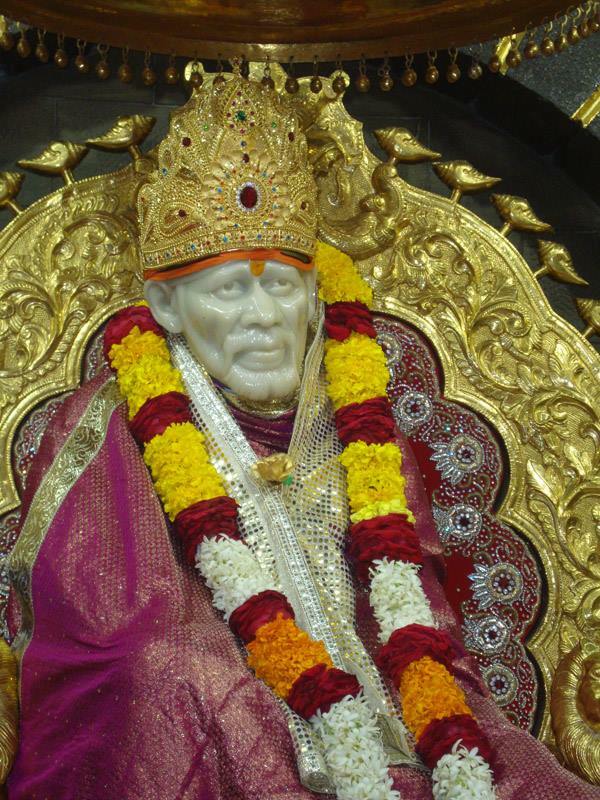 Always eager to obey the Guru's word, he will not consider the good or bad of it. Disobeying the command was, to him, the greatest sin and obeying it, at once and in every possible way, was the greatest merit. Those who disregard the Guru's word are, most certainly, destined to lose all the merit accumulated over the past births. Absolute obedience of the Guru's command is the most precious among all ornaments. 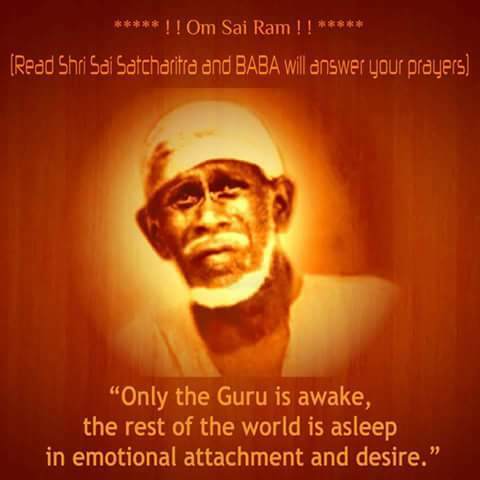 Guru's command should be obeyed without a moment's delay. 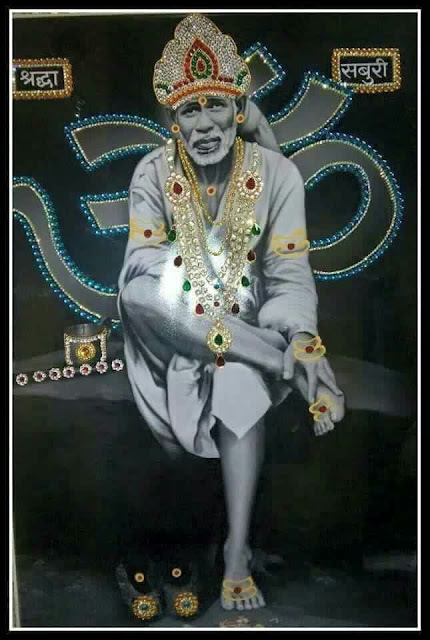 Hence God will fulfil his wish, whose mind is for ever fixed at the Guru's feet. 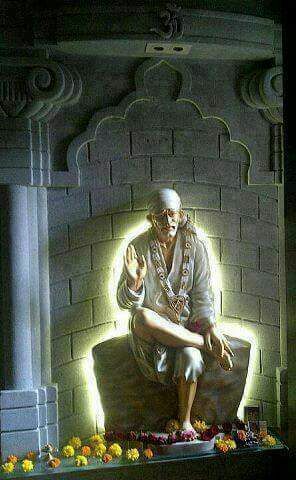 Chapter - 23 Shri Sai Satcharita.